Laughter with purpose. Mirth with a message. Humor that heals. Keynotes that enlighten, educate and entertain. All from a speaker who is not only funny, but who is a neurohumorist — one who researches the neurobiology of humor, and then translates these cutting-edge findings for the layperson, showing how they can harness applied humor to heal and empower themselves. Audiences love Karyn’s message of laughter and leadership. In one month she spoke for the Million Dollar Round Table, the US Air Force, the Mayo Clinic, Pfizer, & the Association for Peri-Operative Room Nurses. 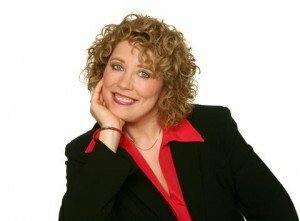 Karyn is in the National Speakers Association’s Speaker Hall of Fame. She is a proud recipient of the Lifetime Achievement Award from the Association for Applied and Therapeutic Humor. She serves on the advisory boards of the Invisible Disabilities Association and the American Happiness Association. She’s the co-founder of World Laughter Tour. That’s why Karyn Buxman is the best person to teach your team how they can lead with laughter! Created, authored and published the multiple book series: What’s So Funny About…? Karyn was the recipient of the Invisible Disabilities Association’s 2009 Healthcare Award.